In the run-up to National Black Cat Day on Thursday 31 October 2013, we thought we’d tell you about some of the black and black-and-white cats in our care. Sadly, these beautiful cats have so far been overlooked by potential adopters; they are well looked after but they need a permanent home. For more information on each cat, or to find out more about the other cats in each branch’s care, just call the number by their details. Go on, bring a black cat home! 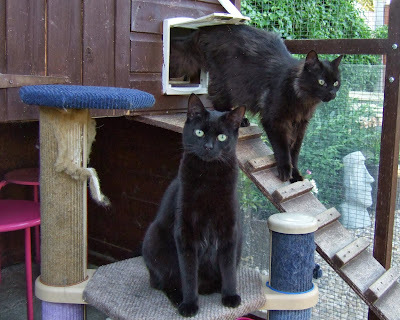 Meg (short haired) and Merlin (long haired) are around 15 months old and need to be rehomed together. They are a pair of very affectionate and laid-back cats who enjoy playing and having cuddles. Our Bury St Edmunds Branch has sweet little Maggie since February. 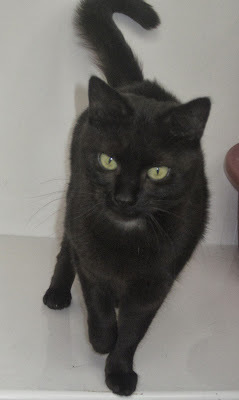 She's six years old, fit and healthy and will make a lovely companion but, sadly, she seems to be constantly overlooked. 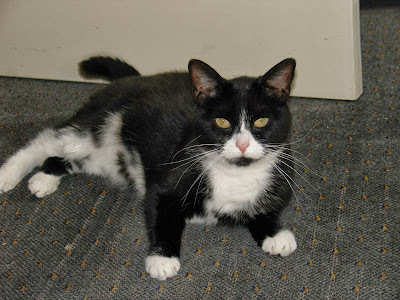 She's a little shy at first but is very friendly and would suit a quiet home, perhaps with another friendly cat. Lilly is 11 years old and is with our Dereham Adoption Centre because her owners were emigrating – she is so sweet! She has been with CP now for more than two months. Millie is a former stray from the Huddersfield area, and it’s estimated that she’s three to four years old. When she first arrived at the branch she was quite laid back was adopted after only three weeks in foster care. Unfortunately, she didn’t get on with the younger cat in her adopter’s household. She was brought back into foster care and settled down very quickly. Millie has been in foster care now since the beginning of the year. 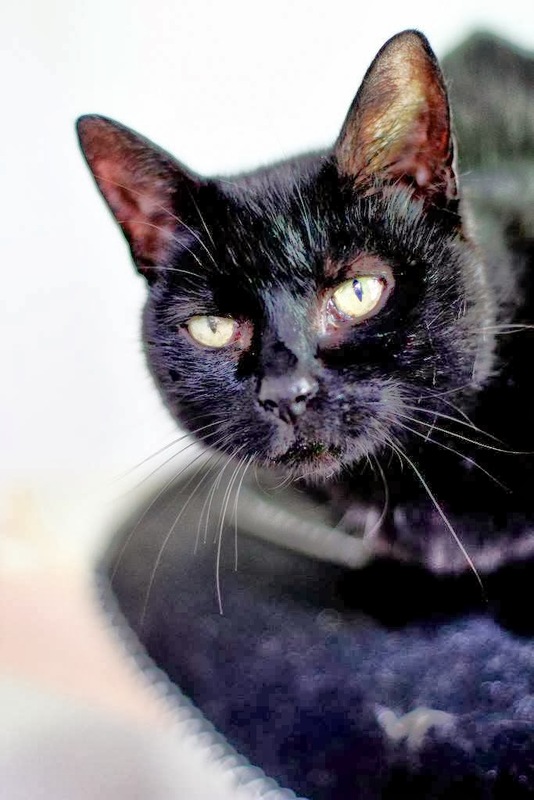 She is cat who clearly wants to go out and would love a forever home; she needs outside space to explore and play in and she needs a quiet home without any other pets. 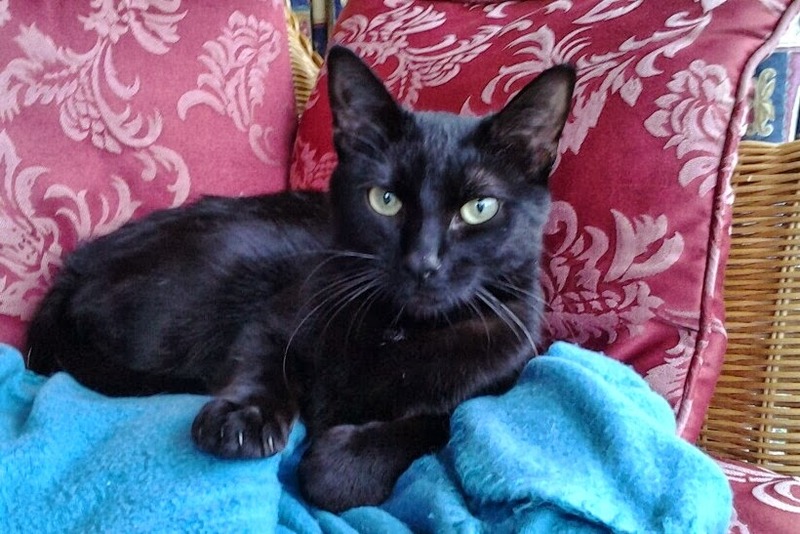 Petunia is a happy and affectionate one-year-old cat who loves to play or to sit in your lap and purr. She is fine with other cats and dogs. Now that Poppy’s kittens have been homed and she’s been neutered our South Wirral Branch would like to find a loving home for this one-year-old very friendly cat. When his owners decided on a canine addition to the family, three-year-old Sox left home to live in the garden under a bush. A doubly sad tale as he also has no tail! 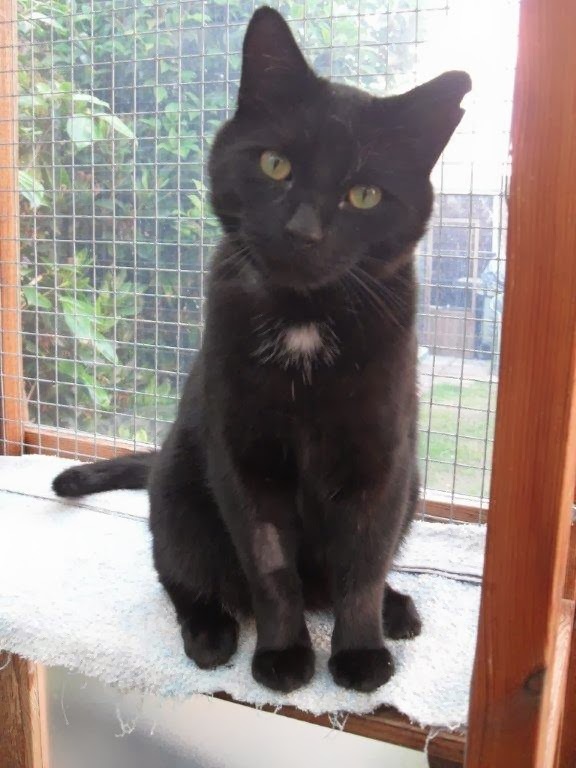 Hei Mao is a lovely three-year-old black male with a white patch on his chest. 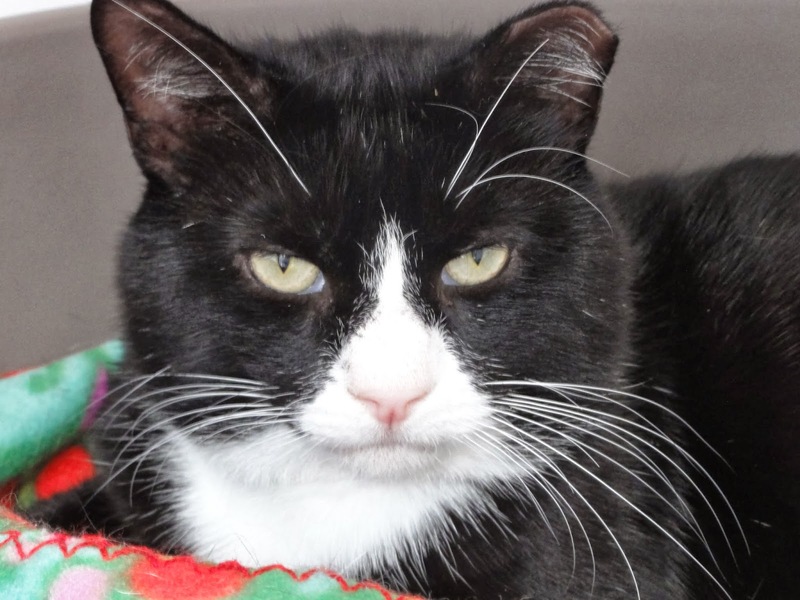 He is a big softy and a lap cat who loves a fuss, purrs and is playful. Hei Mao came in to the branch as a stray and is best suited to a home without other cats. 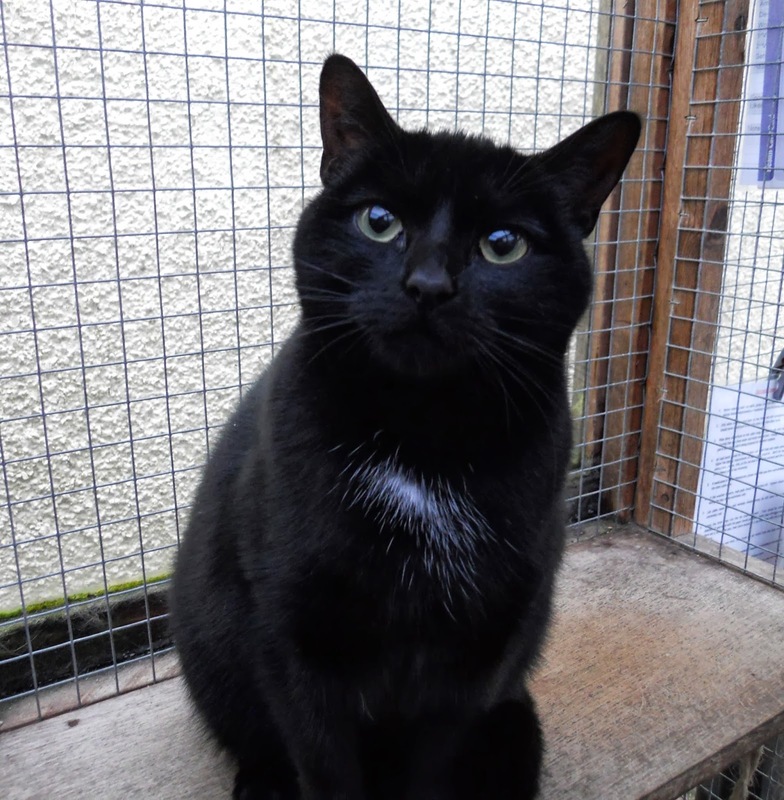 Maisy was a house cat but our North Ayrshire Branch think she'd like to venture outside in her new home. She is two years old and will be a great companion cat. I have had two black rescue cats and my current one Honey is totally gorgeous. 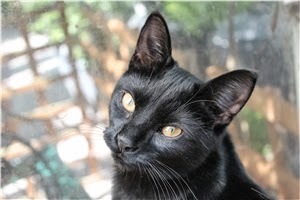 Black cats are so pretty why wouldn't you want to give one a loving home. Okay I'm not calling myself a cat expert, although I have had cats in my home as early as when I was a year old. But I will say that Superstitions about Black Cats differ from place to place. Recently, I've found that in Scotland White Cats are to be feared and Black Cats are to be appreciated since the latter brings money luck to a household. Personally I grew up with 13 black and white varied cats until the fire, which was caused by the semi's neighbour's gas furnace - they all perished. Very sad day 8 February, every year I remember them and especially my favourite one. Until age 12, my father rescued 3 female pregnant cats so I got to be a helper to 39 kittens. It was always Dad and I, Mom disliked animals overall. So when he died unexpectedly that was the end of my life with kitty kats! At 19, I convinced her to get a pet, but she settled on a dog. Got a puppy which I was responsible for, but she turned him away from me. Then when I got married she gave me the 'speech' - that cats are no good around babies. Yeah right! So along with hubby we continued to be dog owners from 89 to 2013, the last one to leave us of natural causes at two months short of his 14th birthday. Two days later, I had the urge to go into the back garden, it was compulsory that I did, so I went. There on the back fence was sitting a beautiful black cat with white paws. I talked to him but all he did was staring me straight in the eyes and then he took off. I went online to look for kittens (it was time to have them again in our family) and found an ad for one ever so similar to my garden visitor. I contacted the person in the ad and on the Sunday we went to get him. It's been 4 weeks (tomorrow) and the mystery cat visitor never came back - so see where I'm going with this - destiny! Our daughter looked through the same ads and found a little 9 weeks old ginger male kitten which we went to pick up on the same weekend but on the Saturday. They both had had a bad time of it, neither owners gave us food, litter box, toys or anything as such and both had dogs that were too old and too energetic. Our daughter's kitten was stuck in a pet carrier since he had arrived, no litter box in sight and he was so scared I can only assume that they had given him a bath. He is now a happy kitten nicknamed Ginger Nut. Our own black and white was 10 months old and I have given him the name of my favourite boy back when I was one, he has the cutest black goatee in his white face a proper guy (hubby has a fury face too LOL!) and on the first night we put him on our bed and he came to bury himself in my arm and licked and licked for a whole 5 minutes. To me and especially after I heard what he had been through I figured it was the ultimate saying of: 'Thanks for getting me out of there!' They are both happy now and my big boy is a kitten again thanks to Ginger Nut. They've got beds up and downstairs, toy mice, scratch post in the hallway and in the kitchen - our biggest purchase - a Cat-Mate Fountain with filtered water, they absolutely love it. In conclusion not everyone believes the same regarding black cats - unfortunately they have spades against them. Me, I'll never believe that because Friday the 13 is always lucky and I've had more black and black and white cats in my life with no consequences. I lost my sweet black cat in March, I'm still looking for her, She was the only cat left out of a litter, soon as I saw her I fell in love, when I feel the time is right I would love another black cat, not giving up yet!